A beautiful Ebony black glass basin in a highly polished black finish. 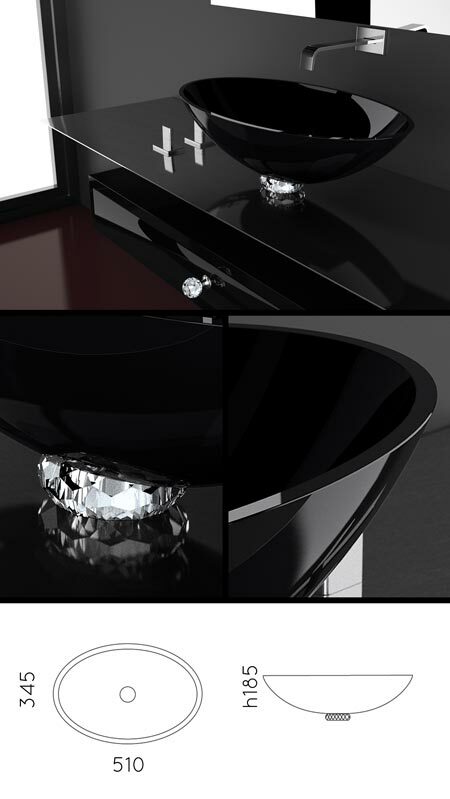 This oval glass sink is luxury Italian designed and can be supplied with a diamond glass mounting collar, which adds a real luxury styling to this black glass sink. Please note these glass sinks includes the crystal glass mounting collar and the basin waste. * Beautiful Italian glass design. * Crystal cut glass collar. * Made to special order. * Allow 5 weeks for delivery.